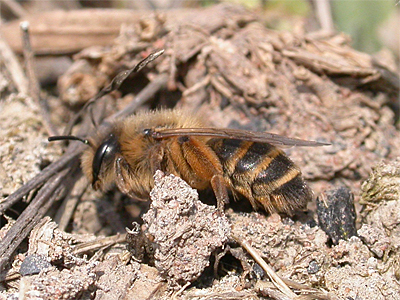 A fairly distinctive solitary bee, with both males and females showing distinctive buff-coloured hair bands on the abdomen. 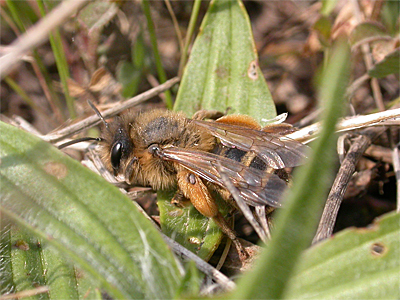 There are two generations a year and Andrena flavipes has undergone a northerly expansion of its UK range in recent years. In Spring 2019, we found good numbers nesting on a south-facing bank side of former colliery spoil, on a brownfield site at New Ollerton. The only other Nottinghamshire record we know of, is a 2002 record from Hungerhill Allotments in Nottingham (per Nottinghamshire City Council). 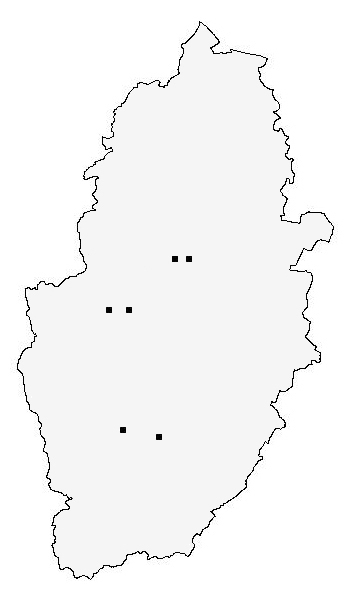 The records for the Nottinghamshire distribution map are currently provided by the following contributors - Nottinghamshire City Council. Trevor and Dilys Pendleton.